Paint - Your choice of 12 colors. Duratemp FIR T1-11 Wood Siding - Genuine T1-11 exterior plywood (not particle board or OSB!) with a tough, natural looking surface of tempered hardboard. It will not split, check or crack like veneer products. Duratemp's face is always 100% clear and free of patches and repairs. It is tough enough to resist dents, damage and weather, with a 25 year limited manufacturer's warranty. Vinyl Siding - We use premium vinyl siding for a maintenance free exterior with 8 colors available to choose from. This quality residential grade siding has a limited lifetime manufacturers warranty covering fading, warping, and even hail damage. Underneath the vinyl siding we use 1/2" CDX plywood for durability and long life. Power Nailed Construction - All wall framing and T1-11 is nailed, not stapled. Galvanized nails are used on all exterior surfaces. 2x4 Framing - With 16" on center spacing on 8' 10' 12' and 14' wide sheds. 4x4 Pressure Treated Runner Foundation - Allowing airflow under the floor so it stays dry. We use 5 runners on 10' x, 12' x, and 14' x wide sheds, 3 runners on 6' x and 8' x wides. 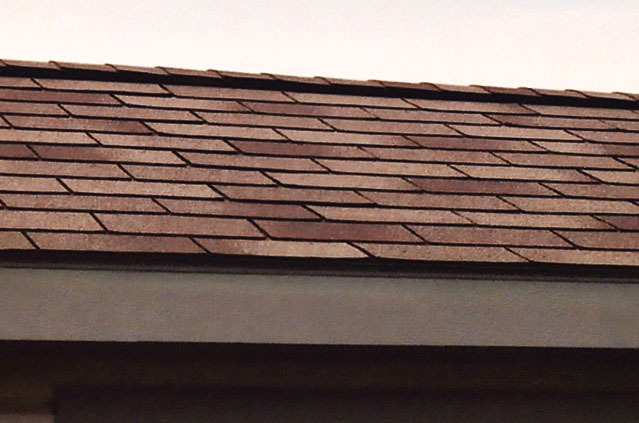 30 Year Architectural Shingles - In your choice of 5 colors. Aluminum drip edge molding protects roof edge from moisture deterioration. 1 Year Limited Warranty - On Materials and workmanship. Many options are available to customize your storage building. If you don't see what you are interested in, just ask! We can deliver to your prepared site, or if your building cannot be delivered fully assembled, on=site setup is available at an additional cost.